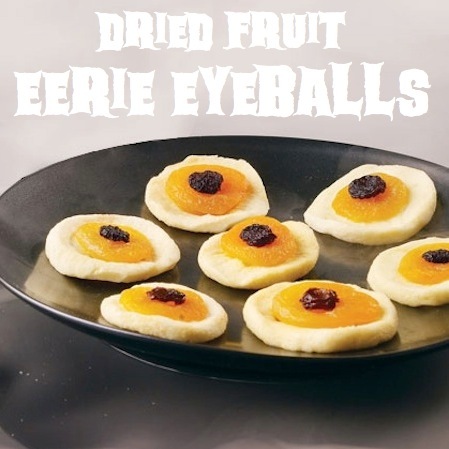 Stack different sized dried fruit to make these sweet but nutritious eerie eyeballs for Halloween! Deviled eggs have always been my favorite snack to bring to a party, although mine are usually pretty boring. Get creative with them this Halloween by topping them with an olive spider or eyeball, or how about those little “pumpkins” with the chive stem?! Check out these 8 creative deviled egg ideas and recipes for more inspiration. 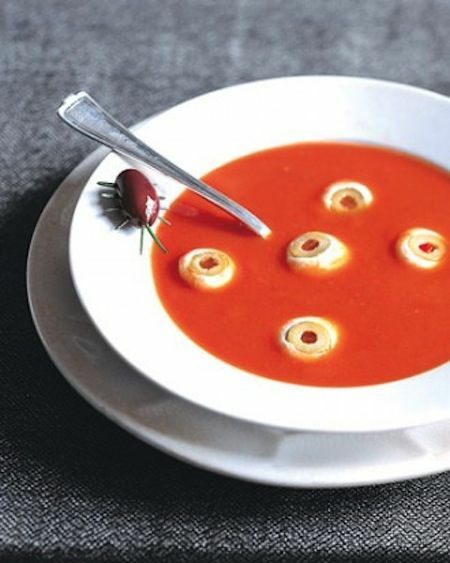 Bite-size mozzarella balls and pimiento-stuffed green olives are just right for floating eyeballs in your soup. And, check out the olive bug crawling on the side of the bowl. How creepy!